At the MoMA for the “Tim Burton” Exhibit. 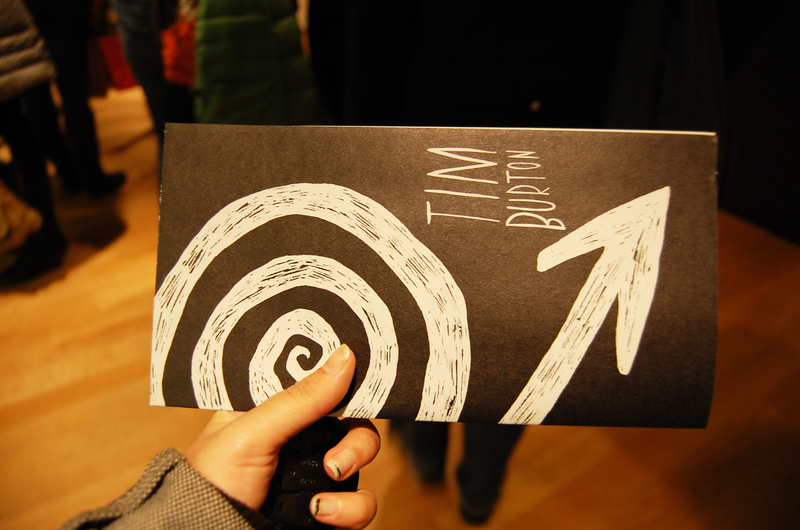 Tammy, my mother, and I decided to go visit the MoMA Museum on Friday to see the “Tim Burton” Exhibition. Unfortunately, we weren’t able to take pictures of anything at the exhibition, Tammy tried and got yelled at by the picture-nazi’s. The TB exhibition was awesome! I couldn’t leave without getting the action figures sold at the TB vendor. I highly recommend that everyone go to the museum for the exhibition, a that, the rest of the museum disappointed me with art installations that were just meer Dannon yogurt lids with $0.99 stickers on them, or blank pieces of paper. I don’t understand why some people make millions off of just junk, they must be brilliant salesmen. Oh! go on a Friday from 4-8pm, its free!. The museum isn’t worth $20. I did find some art work worth taking pictures of though, here are some photographs. ← Wonderland on 5th Ave. I HAVE TO GO TO THE EXHIBIT! Thank you for posting!